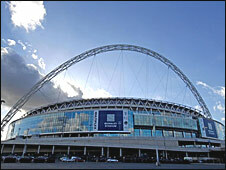 Wembley Stadium has been praised for its architectural excellence at an awards ceremony. Heathrow Airport's Terminal 5 was also among the 16 winning designs recognised at The Royal Institute of British Architects (RIBA) awards on Friday. A shortlist of six will now be drawn up from the winners to contest the RIBA Stirling Prize. The prize recognises the building which has made the greatest contribution to British architecture in the last year. Winners of the £20,000 prize will be announced on 11 October. RIBA President Sunand Prasad said: "RIBA awards are only made to buildings that really work for their users. "They are a studied response by architect and lay judges not only to the submitted material, but most importantly to tours of buildings conducted by the clients and architects of the schemes."